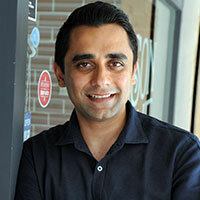 Unnat Varma is Managing Director – Pizza Hut for the Indian Sub-continent. Pizza Hut is owned by Yum Brands, world’s largest restaurant company which also owns KFC and Taco Bell worldwide. Unnat has 21 years of experience of which he has spent 10 years working with Yum! Brands. He joined Yum! In 2006 as Director Marketing – KFC for the Indian Subcontinent. He spent 5 years in that role and built a strong foundation for KFC’s success and growth story in India. In Jan 2011, he took over the role of General Manager – Taco Bell and was responsible for launching the brand as the next growth engine for Yum! In India. After successfully establishing the consumer and business proposition for Taco Bell and appointing a new franchise partner, Unnat moved in as the General Manager – Pizza Hut Indian Sub-continent in Jan 2015. Prior to joining Yum! Brands, Unnat worked with Gillette in India for 12 yrs across Sales and Marketing functions. Unnat has a degree in Engineering and Management from University of Poona. He did his MBA from Symbiosis Institute of Business Management, Pune. 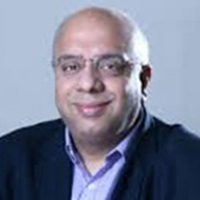 Ashish Bhasin is a well-known personality in the Advertising & Media industry in Asia Pacific, for the past 30 years. 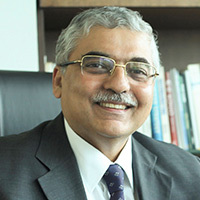 He is presently Chairman & CEO Dentsu Aegis Network South Asia. He is also a member of the Dentsu Aegis Network Asia Pacific Executive Board. He has built the Dentsu Aegis Network in India from a 50 member team to a 3500 member powerhouse, now the 2 nd largest Advertising and Marketing Communications Group in India, overturning for the first time the existing ranking, which has historically been in place for over 80 years. Prior to this Ashish successfully led and set up several of Lintas India’s (IPG) businesses and also had the global role of Executive Vice President, Lowe Worldwide and Asia Regional Director for Integrated Marketing. Ashish has received the Campaign Asia - South Asia Agency Head of the Year award for 3 consecutive years - 2017, 2016 and 2015 and was selected as MXM’s Media Person of the Year- 2016. He has been awarded the 2015 IAA Leadership Award for Media Agency Head of the Year and was the Exchange4Media - Hallmark Chairman of the Year 2015. He is also the recipient of the Business Excellence Awards for Media CEO of the Year - India & Chairman of the Year – India 2013, 2014 and 2015, at UK’s Business Excellence Awards. He has received the Indira Super Achiever Award 2003 and was also adjudged “Media Marketer of the Year” at the Brief Media Awards and was the Dentsu Aegis Network Star Performer of the Year 2017. He has served as the Head of Jury for the Asia Pacific Effie Awards 2017 and has served on several global juries including Cannes Lion 2016, Cannes Lion 2007, Dubai Lynx 2008, Festival of Media Global 2013 at Montreux and Asia’s Most Promising Brands and Leaders 2013 in Dubai. 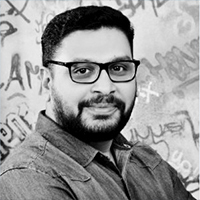 Ashish serves or has served on most industry bodies in India, including as President AAAI, Chairman MRUC, Chairman Goafest 2017 & 2018, Co-Chairman AAAI – IBF committee 2010 - 2018, Chairman Media Abbys 2012 & 2013 and former Chairman - Readership Studies Council of India. He is also the Founding Chairman of the Sydenham Institute of Management’s Alumni Association, amongst others. Karam Malhotra is currently the CEO of SHAREit India. Prior to joining SHAREit, Karam co-founded one of South India’s most popular movie app FastFilmz which was recently acquired by SHAREit. 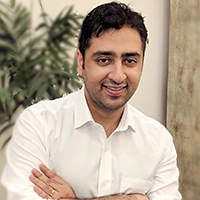 With his expertise in business strategy and management consulting, Karam aims to re-define video interactivity in India through SHAREit platform for 400 million of its users in the country as well as make deep inroads into the hearts and minds of Indian movie fans. 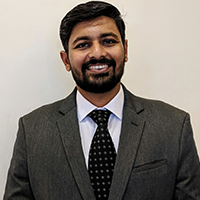 After completing his bachelor’s in physics in 2008 from St. Stephen college, Karam started his career as a senior analyst in McKinsey & Company. Karam went to Chicago, USA to attended Kellogg School of Management in Northwestern University in 2011. 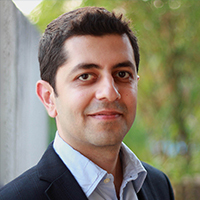 Karam then returned to McKinsey London where he ended up as a junior partner in the firm serving media, entertainment and tech clients in Asia and Europe. Karam passion in business is the reason he co-founded not one, but two firms in India. The first firm he co-founded back in August 2015 was Fastfilmz which seeks to push the boundaries of the way India’s smartphone users watch movies. Through Fastfilmz, he successfully brought fast and uninterrupted video streaming and downloading service to 80% of India’s urban population living in tier 2 and tier 3 cities. In July 2017, Karam also co-founded Greatest Common Factor (GCF), an ed-tech company which looks to revolutionize how students prepare for exams and consume digital first education content in the competitive learning space. 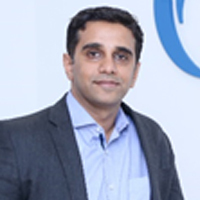 Karam now joins SHAREit as the CEO of SHAREit India, and he is looking to bring more excitement and innovation to the video streaming industry in India. Karam is a passionate musician, having graduated from the Trinity College of Music and spends his weekends playing the piano, drums and guitar! Mr. Sankalp Potbhare is the Managing Director of Kraft Heinz India. He has been recognized at multiple external forums for his expertise in his subject, especially Business and GTM strategy. Sankalp is also the recipient of many global and national level awards for his contributions in the field of Sales and Marketing. A postgraduate from SIBM Pune, 2004 batch, he has had a fast tracked career and continues to learn and grow. Sandeep Verma is the President at Bajaj Corp Ltd, a $1.2 Bn mkt cap Indian FMCG company and a market leader in hair oils and skincare with brand like Almond Drops and No Marks. A post graduate from IIM-Lucknow, Sandeep’s FMCG education started at Hindustan Unilever Limited where he worked for 15 years across multiple roles in sales and marketing. His last role there was as a Global Director in the Homecare Category. Before that , he was the Regional Category Director in the same category and led the cross functional category team for the business across the Asia Pacific region. Prior to that, he was the global marketing manager on the world’s leading soap brand Lifebuoy. Here he helped to create and extend the Lifebuoy Hand Hygiene agenda across 24 countries in the globe. 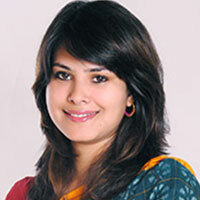 Sandeep first marketing stint was as the brand manager of the shampoo brand Sunsilk. Here he was also instrumental in the creation, setting up and running of the web community "Sunsilk Gang of Girls" . Started as marketing initiative, it quickly became Asia's biggest social community of women on the internet (before Facebook). Before coming to brand management , Sandeep was in the sales and customer development function at HUL and was handling the biggest Indian state of UP where he piloted India’s first fully automated rural distribution system which was later rolled out by HUL nationally. Sandeep is also one of the mentors in the Entrepreneurship development cell of IIT -Kharagpur and consistently works with budding entrepreneurs through this and various other forums. In the past he has also worked with the Bennett Coleman group where he was a part of the industry expert panel of mentors created to help the small entrepreneurs by giving them access to expertise in the area of marketing/finance/operations for free. Sanjay Gupta is the Marketing Head for Uber, India. In this role, he is responsible for further strengthening brand Uber in India. 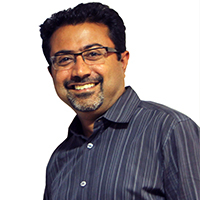 With over 15 years of experience in brand and consulting, Sanjay’s expertise lie in delivering growth, evangelizing strategic brand shifts and building power brands. 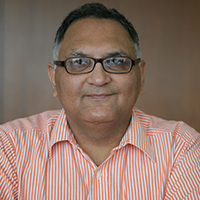 Sanjay is passionate about leading the growth, innovation and people agenda. Prior to joining Uber, Sanjay was the Chief Marketing Officer at Urban Ladder. Prior to that he had stints with Marico and Accenture. During his 10-year stint with Marico, he led the charter for Saffola’s journey from a single category niche brand to a food brand strengthening its association with preventive heart care. One of the sharpest marketing minds in the country, Sanjay was recognised as India’s ‘Top 40 Under 40 Hottest Business Leaders’ in 2015. Several marketing campaigns created by him have also won recognition at EMVIE and Effie, leading advertising and media awards in the industry. 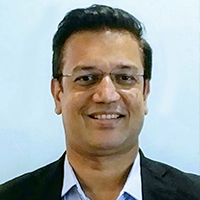 Sanjay holds a PGDBM in Marketing from MDI Gurgaon and a degree in Economic Honors from SRCC, he has also done a course on Strategic Marketing from Harvard Business School. Sanjay is based in Delhi with his wife, daughter and two dogs. He loves spending time with his family, and is an avid follower of Chelsea fc. Vishal Rupani is the Co-Founder and COO, mCanvas. 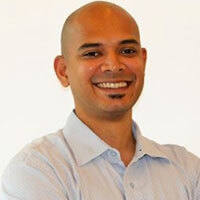 He has over 12 years of experience in Search, Display and Mobile advertising. He is currently responsible for building Affinity’s mobile advertising products from vision and inception to revenue generating maturity and scale. Before joining Affinity, Vishal cut his professional teeth building a domain traffic monetization solution - Skenzo - at Directi. He spearheaded global reseller business operations for Skenzo, juggling sales, support and product management roles. Vishal earned his Master of Commerce degree from the University of Mumbai and MBA from the University of Arizona. Sanjay Trehan is currently a Digital & New Media Consultant. With over 30 years’ experience in the super exciting space of new media and advertising across web, video, print and mobile content landscapes and monetisation models, he is now excited about creating disproportionate value for companies. Before turning a new media consultant, Sanjay was the Business Head-Digital Content & Syndication with HT Digital Streams Ltd. Earlier he was with MSN India (portal and apps) for Microsoft Information and Content Experiences (ICE) Group as its Head & Executive Producer. A seasoned internet professional, Sanjay brings a deep understanding of the converging media ecosystem. Prior to joining Microsoft, Sanjay was the founding CEO of NDTV Convergence Ltd., the digital arm of NDTV. 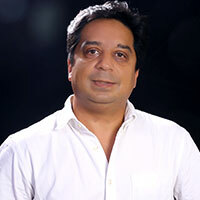 Under Sanjay’s leadership, NDTV Convergence incubated many new initiatives in the Web 2.0 and mobile space including the revamp of NDTV.com and the launch of India’s first full-service WAP portal. Prior to NDTV, Sanjay was Vice President Broadband and Web 2.0 at Times Internet Ltd., where he rolled out a number of verticals and built Web 2.0 communities. 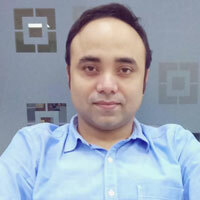 He also took Indiatimes into the online gaming arena. Previous to that, he was the Chief of Internet at Hindustan Times, where he played a key role in turning the website into a profitable business. An alumnus of St. Stephen’s College, University of Delhi, Sanjay is a founding member of Internet and Mobile Association of India (IAMAI). He has also published a book of poems. Sanjay and his wife currently reside in Gurgaon, India with their daughter. 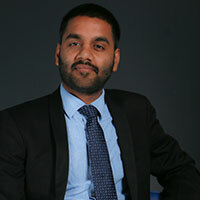 Sandeep Reddy is the Country Sales Manager, Media, for India at Akamai Technologies. In this role, he is responsible for accelerating growth for the division in India and SAARC. 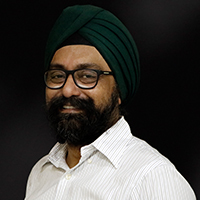 With 16 years of experience across account management and sales, 13 of which are with Akamai, Sandeep has successfully helped a wide variety of leading media companies scale, grow, and thrive in the Internet era. 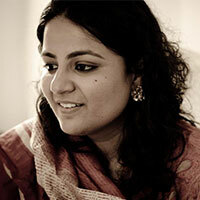 Sandeep holds a Bachelor's Degree in Telecommunication Engineering from the Bangalore Institute of Technology. A dynamic media executive with over 15 years of business development, marketing and content partnerships. strategy business planning and execution expertise spanning television networks, internet video, content distribution, Ad Agencies and brand licensing & marketing. A track record in building businesses, negotiating partnership deals and executing go to market strategies. A result oriented executive able to balance both commercial and creative objectives and lead multi-functional teams in fast paced corporate and start-up environments. Awarded the "DIGITAL MARKETER OF THE YEAR - 2016" and also the "BEST DIGITAL INTEGRATED CAMPAIGN - 2016" for #LIVThisDiwali at the prestigious National Awards for Marketing excellence by CMO Council, Asia. 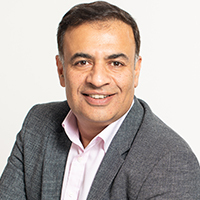 Amit Khanduja, CEO of Reliance Entertainment – Digital, leads Digital Business for Reliance Entertainment which include gaming companies Zapak Entertainment & Reliance Games, and Digital OTT platform, BigFlix. Amit’s rich expertise in the digital space ranges across Product Development, General Consumer Marketing, Sales and Business Development. With more than 20 years experience as a successful business leader in the digital and mobile industry with esteemed organizations’ like - Sun Microsystems, HP & IBM. Prior to Reliance, Amit was Managing Director APAC and North America for Tira Wireless (a VC funded Startup). He has also worked at an executive position with Sun Microsystems where he managed Business Development for Java Micro Edition and Content Delivery Server product lines, and led BD & Marketing for 90 global operators to deliver new Java Data Services with 1.5 Billion Java handsets. Marketer at heart. A decade of learning on the job has helped me build the three most relevant disciplines/skills that will help build brands of the future. 1) Digital Marketing, 2) Sales in this fast changing world of new formats and channels, 3) Deciphering Customer Insights leading to Customer Centricity. Global experience across markets like US, UK, China, Australia and Canada. 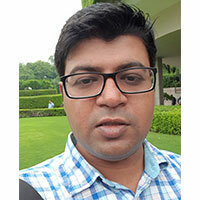 Jyoti Kumar Bansal, an Engineer-MBA by education, entered the field of media right out of B-School and has worked across traditional and digital media in a career spanning 19 years. 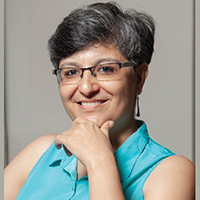 Jyoti has also dabbled in research & product development with an online publisher, when digital was still being evangelized by angel investors in the country. Before taking on this role, Jyoti was leading the new business development efforts of Omnicom Media Group in India very successfully and was informally evangelizing 360D media solutions for clients within the Agency. Her key strength is her strong understanding of all disciplines of media including traditional, digital, entertainment content and sports, the last three of which she helped set up in her previous stint. A strong believer in seamless media solutions across platforms, Jyoti’s motto is ‘the consumer merges & consumes media seamlessly in their life; our media & communications solutions have to reflect this’. An astute Digital Marketing professional with over a decade of experience in Digital and Data driven marketing in the BFSI Sector. Currently heading Digital marketing with expertise spread across Digital Acquisition, Website Analytics, Programmatic Buying, Social Media Engagement and SEO. Recognised by World Brand Congress as The most Influential Marketing Talent in BFSI, 2016-17. Being Personal- A dynamic & result driven team leader with rich experience in online marketing, project management and branding,engaged in extensive customer, market, competition and technology trend analysis,seeking opportunity to score the the right acquisition or branding move. 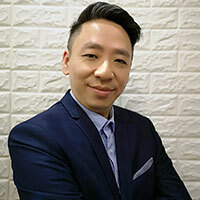 Jason Wu, Chief Strategy Officer, MoMAGIC Technologies, is responsible for company strategic transformation, forming new strategy setting and strategy management. The core responsibilities includes building up the new solution & partnership ecosystem in Asia, developing new sales opportunity & strategic sales network and also establish oversea teams in Asia. Jason has close to 16 years of experience forming worldwide strategic business development, big data partnership, and marketing strategy. Jason joined MoMAGIC after being associated with Vpon Inc and prior to this, he was worked for brands like MediaTek, Nokia, BenQ corporation, shaping the future of these organizations with his strategies. Mahip is a digital marketing strategist with over 10+ years of digital marketing experience, with an extensive focus on performance marketing, mobile app marketing, new user acquisition, revenue generation and strategic alliances. A self-starter with the ability to translate corporate goals into reality, motivated and sincerely enjoys developing and maintaining excellent relations. He is passionate about how mobile has changed the face of advertising. Mahip currently heads Mobile App & Performance marketing for Flipkart & manages the new user acquisition and engagement for paid and organic sources. Prior to Flipkart.com , Mahip was associated with bigbasket.com & Commonfloor.com managed their Performance Marketing and Strategic Alliances. Mahip has also worked with Brands like Kotak, Yahoo, Knight Frank India & HDFC Realty in past with core focus on HNI Sales, Account Management & Offline Marketing. Nachiket Pantvaidya joined ALTBalaji in December 2015 and has launched and scaled it up to be the leading OTT player in the country with the largest collection of original shows in Hindi and other Indian languages. An IIM - Ahmedabad alumnus, he brings with him extensive operational experience and an understanding of the media & entertainment ecosystem, having worked across all facets of the media industry. Prior to ALTBalaji, he was business head of Sony Entertainment Television. He was also the Business Head of Star Plus and held several roles in the Star TV network, including Head of Star Pravah and Managing Director of Fox Television Studios. In addition, he has also held key management roles in BBC and Disney. 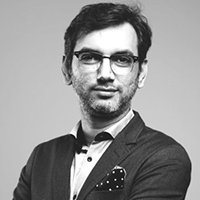 In his current role as the Group COO and CEO ALTBalaji, Nachiket has additional responsibilities at Balaji Telefilms across the television and movies business. 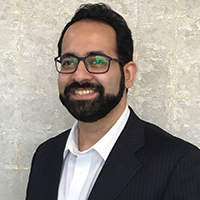 Rahul Grover started as a Senior Associate in KPMG Advisory, and since than as served a diverse client base dynamically in the Real Estate, financial services, and telecommunication industries. He comes with over 14years plus experience and comes across as a highly professional, energetic and an oriented person. He is known for his competence to define and deploy product, marketing and sales strategies to capture the potential of the organization. He is also recognized for his ability to maximize operational capability and align company resources with customer trends to generate sustainable results in key performance areas. Rahul represent SECCPL on various media and real estate platforms to speak on various industry subjects such as RERA, Sales Strategy, Real Estate Best Practices, etc. His key responsibilities include P&L Management, Real Estate Sales, Business Development, Developer Relationships, CRM, Operations Management and other related activities. With an unique business model that leverages aggregation of media assets to integrate a win-win situation for Developers, Buyers and Channel Partners. Pre-negotiated real estate deals provide comfort and security to Home Buyers that they are getting the best value for money, which in-turn increases sales velocity and improves cash flows for Developers. And also lead the ever growing SECCPL family of over 175+ team members including Cluster Heads, Project Site Heads, Marketing Heads, Operations Heads, and other support functions to successfully achieve business targets of the company. 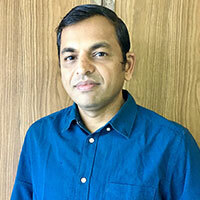 Prior to recently joining SonyLIV as Head – Ad Sales and Monetization, Rajiv has worked over 20+ years in sales and monetization across Media industry including TV – Star Sports, Hotstar, starsports.com, wherein he was in charge of sponsorship sales, content reselling, activations, offline and online integrations during live sports. Radio – Radio Mirchi, where he led a sales team to manage on ground and on air solutions, Digital : News18.com, wherein his role as Business head, he was in charge of leading revenue, content, traffic, viewership, product, increasing traffic by 250% since joining and E – commerce Flipkart.com wherein he worked on third party ad sales on Flipkart growing the biz from scratch, Amagi Media, a start up in the media sales space, wherein he managed a country wide team that handled 1000+ clients. 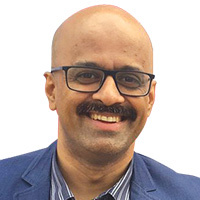 Armed with a degree in Electronics Engineering and an MBA from IIM – Kozhikode, Rajiv is an industry leader with domain knowledge and expertise building revenue and overall business and believes that creativity is the key to success. Ramakrishnan is a Digital management professional with more than 18 years experience starting up Digital Businesses for Media companies in India. He has worked for leading media players in India viz. Mid-Day Multimedia in Mumbai, ABP group in Kolkata and part of the startup team of Publicitas Digital in India. At present he is with ABP News Network since 2008 where he has laid the foundation of the Digital Business in the organization. He has a Masters degree in Physics and an MBA from Jamnalal Bajaj Institute of Management. He is a keen Yoga buff. An MBA from IIM Lucknow and B.Tech. from IIT Madras, Ravish is a digital marketing enthusiast who keeps changing the hats of being a techie and a marketer. Over his 12 years long career, I have worked across multiple sectors including eCommerce, FMCG, Auto and Education. 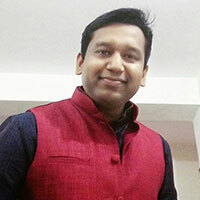 He is presently heading digital marketing at Bajaj Auto, and have worked with Flipkart, GSK, Mondelez in past. 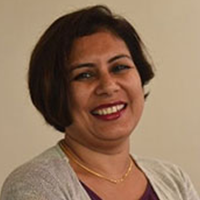 Rujuta has experience of over 12 years across the fields of digital & traditional marketing, product management, corporate communications across varied sectors such as farm, food solutions and media. Rujuta has spent the last 8.5 years with Mahindra and Mahindra’s tractor and farm business, she now specialises in all things rural. She has been instrumental in setting up the farm and tractor divisions digital presence. When she isn’t working on devising digital strategies for the farm business, you would find her travelling across the country to know her consumer - the farmer, first hand. 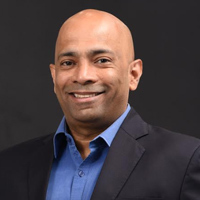 Shouneel Charles serves as the Senior Vice President and is the Business Head Digital at Times Network and is responsible for leading the digital mandate, driving revenue, business strategy and digital growth and transformation of the television broadcast network. 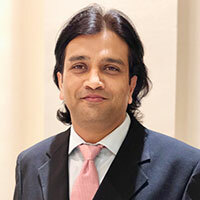 In his current role, Shouneel has successfully built and scaled the Network’s digital platform – www.timesnownews.com A seasoned digital and media professional, Shouneel brings over 2 decades of experience in setting up digital ecosystems, digital news publishing models, profitable internet and mobile based businesses. In his last assignment, Shouneel Charles set up and was earlier leading the digital business at NDTV Convergence as Chief Sales & Marketing Officer and Chief Revenue Officer. He has also worked with multi-national companies like Yahoo, Turner Broadcasting, HBO, Warner Brothers, STAR TV and National Geographic where he launched multiple channels and media properties in the past. Vinay Singhal is the co-founder & CEO of WittyFeed. Hailing from Nunsar, a small village in Haryana, Vinay’s hunger for excellence made him the very first person from his family to pursue engineering. Entrepreneurial bug bit him early in 2010 while he was still pursuing his B.Tech, Computer Science from Chennai. A few failures and a score of learnings later WittyFeed.com took shape in September 2014 under the aegis of Vatsana Technologies. Not even completed the tenure of three years, WittyFeed.com is already valued at $30 million. Vinay, only 27, holds 7+ years of successful experience providing fiscal, strategic and financial leadership in uniquely challenging situations. Internet media industry has always been his work field. He is an innovative and result-driven leader, focused on achieving exceptional results in highly competitive environments. He is highly motivated and has all important core values in place. Vinay believes that Success and Failure, both are integral parts in the life of a serious entrepreneur. He himself has gone through his share of failures before tasting success with WittyFeed. From his experience Vinay advises entrepreneurs to be serial entrepreneurs rather than parallel entrepreneurs. A social activist at heart he dreams of an ideal India and believes in being the change agent. Despite his tight work schedule, he manages to find time to enjoy music and read stuff online.